PHOENIX – The sound of freedom over the West Valley, classic cars and the wonders of science and technology are celebrated in the newest batch of Arizona Department of Transportation Motor Vehicle Division specialty license plates. 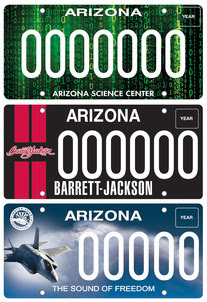 Plates commemorating Luke Air Force Base, the Arizona Science Center and the Barrett-Jackson Auto Auction are now available at ServiceArizona.com. Specialty plates typically cost $25 annually. Of that, $17 is committed to the organization being supported. 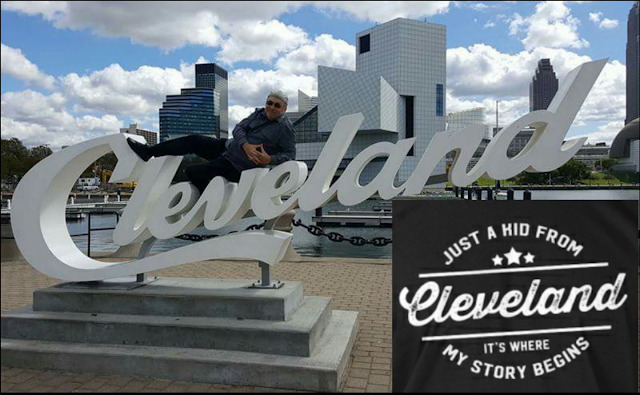 In the most recent fiscal year, sales of the plates generated nearly $10 million for charitable causes statewide. Proceeds from the Luke Air Force Base plate will support Fighter Country Foundation programs and services geared towards morale and well-being, culture, tradition and mission sustainability at the base. The Science Center plate will help fund science education programs. Funds collected from the Barrett-Jackson plate will be used by Barrett-Jackson Charities to benefit the Driven Hearts initiative for the American Heart Association. In addition to these new releases, two current specialty plates, Route 66 and First Responder, are being made available to motorcycle owners for the first time. Specialty plates were established by state law in 1989. Legislative approval is required to create a plate.